With the announcement, Frissell becomes one of the youngest-ever “hams” to take the Amateur of the Year award, which has been considered among the top individual honors in amateur radio since the Dayton Hamvention® awards began in 1955. Hamvention® Spokesperson, Michael Kalter, announced the winners to internet streamers worldwide on Facebook Live, straight from the DX Engineering Showroom inside the Summit Racing Equipment superstore in Tallmadge, Ohio. Frissell, also known by his radio contact alias, W2NAF, started his journey into ham radio in 1995 on a scouting trip as a middle school student at St. Thomas the Apostle School in Bloomfield, NJ. 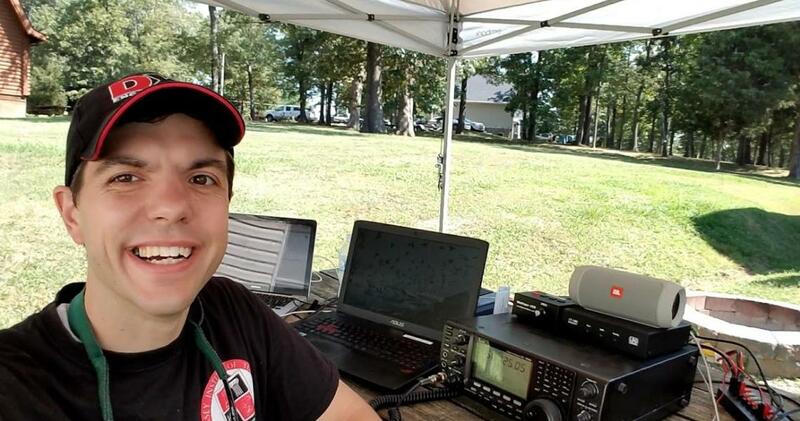 Today, he is perhaps best recognized by amateur radio enthusiasts and research colleagues for his leading role in the 2017 Solar Eclipse QSO Party (SEQP), which brought together an international team of scientists to investigate ionospheric disturbances during the "The Great American Eclipse" of August 21, 2017 through study of radio signals. Since then, Frissell has continued to co-advise NJIT’s amateur radio club, K2MFF, as well as the Ham Radio Science Citizen Investigation (HamSCI), a collective of professional researchers and amateur radio enthusiasts that has received National Science Foundation support and that explores new radio technology and space weather phenomena — ranging from traveling ionospheric disturbances to solar flares and polar vortexes. The next major space weather event for Frissell and HamSCI to prepare for? The 2024 total solar eclipse.